40% off flash sale, ends Sunday! Grab 40% off everything at La Redoute, just in time for some huge savings on your Christmas shopping! Hurry ends this Sunday! Flash event! 40% off everything! Get 40% off everything onsite, just in time for christmas shopping! Hurry ends on Sunday! 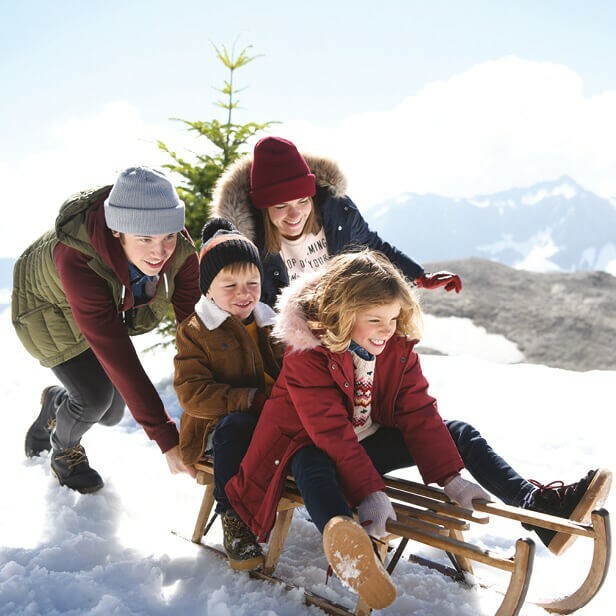 Save 50% on your order with La Redoute's Christmas order builder. Includes all fashion, home, brands & even sale products! 1 DAY ONLY! Get 40% off everything onsite, just in time for christmas shopping! 40% off everything, ends tonight! Hurry La Redoute's Cyber week sale ends tonight! 40% off everything onsite, including sale! Hurry ends tonight! 40% off he perfect gift this christmas! 40% off everything this Black Friday! 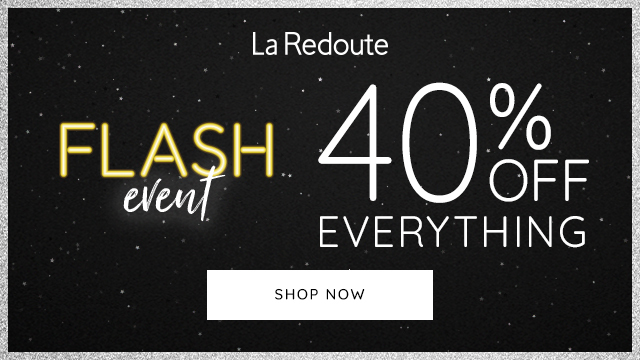 Black Friday came early to La Redoute grab an amazing 40% off abolutely everything this week! 40% off everything onsite, including sale! Find the perfect gift this christmas! BLACK FRIDAY EVENT! 40% off everything! 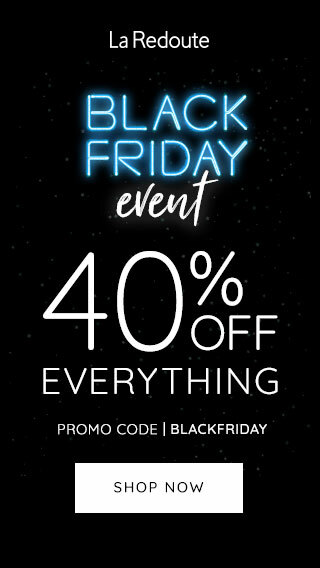 BLACK FRIDAY EVENT: 40% off everything! La redoute's Mage sale ends tonight, don't forget to give it one last big push! Their Christmas order builder will go live tomorrow morning, details of the order builder will be sent through once the offer is live. Mega Sale, Up to 50% off absolutely everything! Save up to 50% on every single product at La Redoute, plus get an extra 10% with your first credit order! Up to 50% across EVERYTHING! Save an incredible up to 50% off everything single product onsite! Last chance! 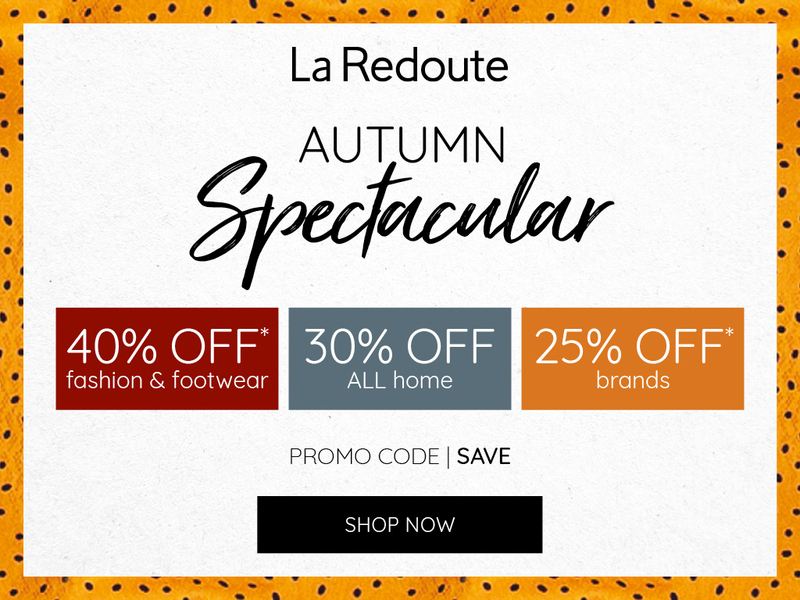 Up to 40% off at La Redoute! 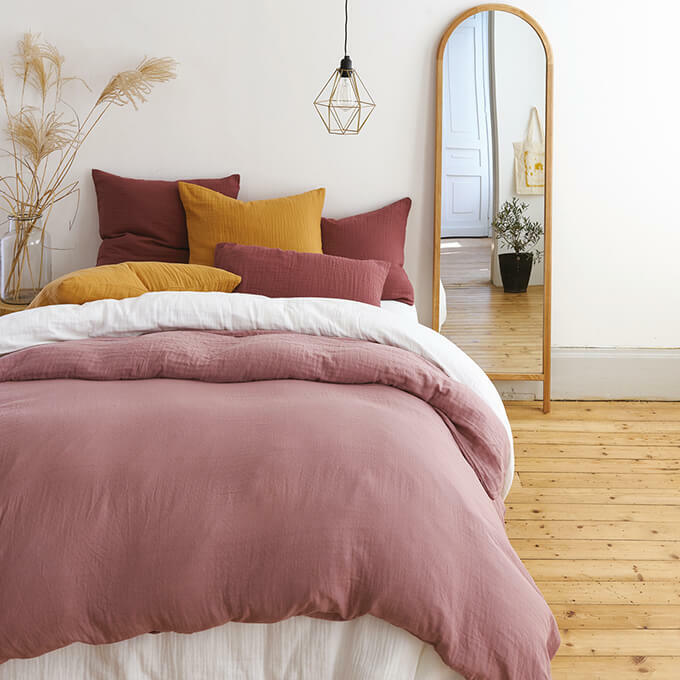 Last chance to save up to 40% on fashion & footwear, 30% off home & 25% off brands at La Redoute. ENDS TONIGHT! Autumn Spectacular, up to 40% off! 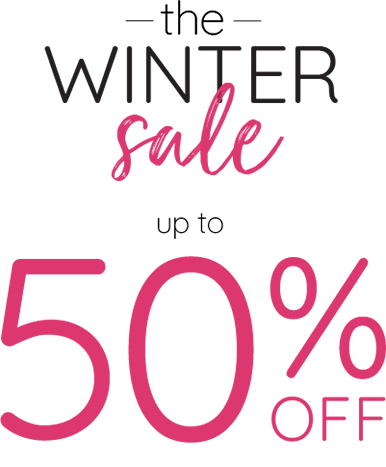 Grab 40% off fashion & footwear, 30% off all home & 25% off brands! 40% off everything for new credit customers! 40% off fashion & footwear, 40% off all home & 40% off brands for new credit customers. If you're a new credit customer you can get an amazing 40% off EVERYTHING on La Redoute !